Perfect weather. World-class wineries. Awe-inspiring vistas. Refreshing, shimmering lakes. Mountains that beckon you to come and play. Everything about this place is paradise. And Coldwell Banker knows it. That is why the Jane Hoffman Group is a member of Coldwell Banker’s exclusive Global LuxurySM division. Focusing on the world’s most sought-after properties, this certification program attracts only a limited number of Coldwell Banker’s most successful luxury real estate representatives. The magnificent Okanagan boasts a number of Global LuxurySM properties. Our team specializes in offering the best real estate services to our discerning clients, whether buying or selling. With access to the unparalleled Global LuxurySM resources and marketing campaigns, we can reach a worldwide audience of sophisticated buyers. As part of the Global LuxurySM network, we are also able to provide our high-end home seekers with a portfolio of premiere properties. 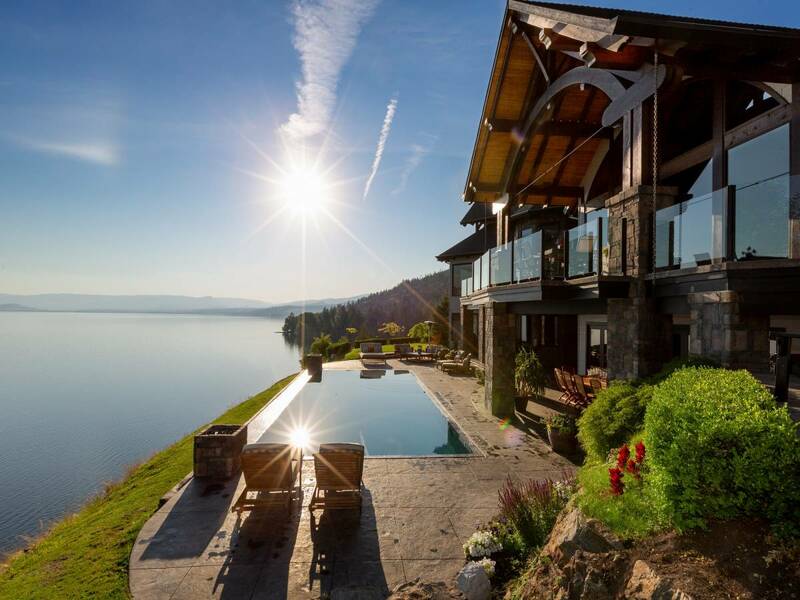 Explore some of our exceptional and unique Okanagan listings, and learn how the Coldwell Banker Global LuxurySM program can show the world what wonderful things we have to offer here. 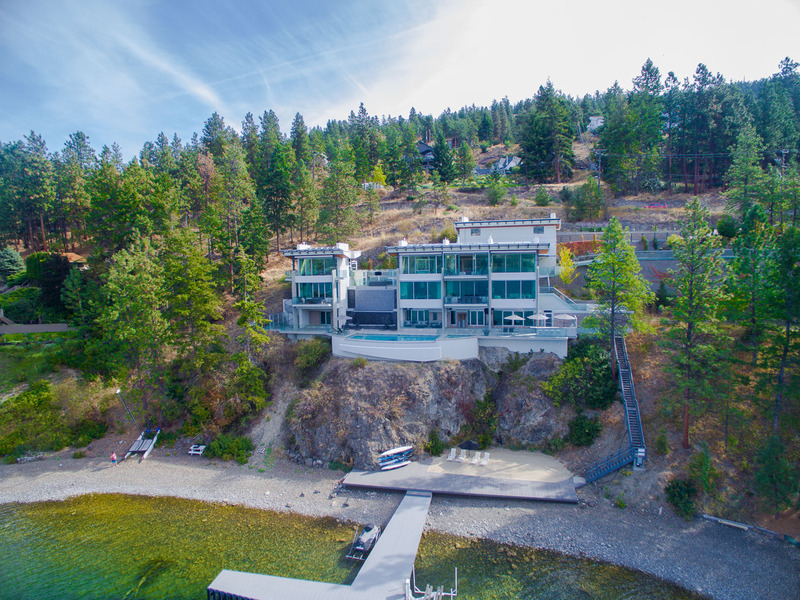 This stunning contemporary home offers privacy and extraordinary design right on the shores of Okanagan Lake. Clean lines and walls of windows are reminiscent of a modern art gallery. Every high-end detail has been considered here, including innovative architectural design, bright and spacious rooms, top-shelf materials, a magnificent wine cellar, a private boat slip, and a separate guest suite. 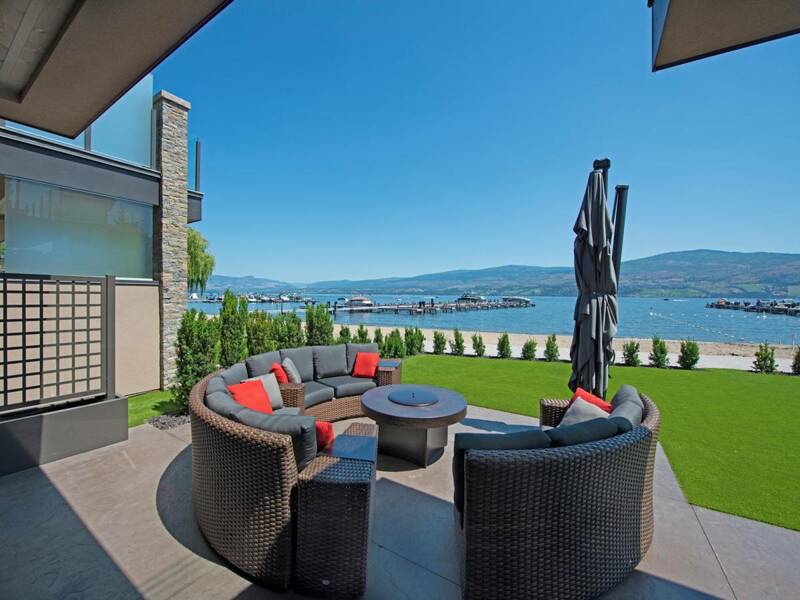 Behind the gates of this property, you’ll discover the best in stylish Okanagan living. A grand ski chalet that is uniquely British Columbian, the White Spirit Lodge makes the most of Kelowna’s mountain playground. 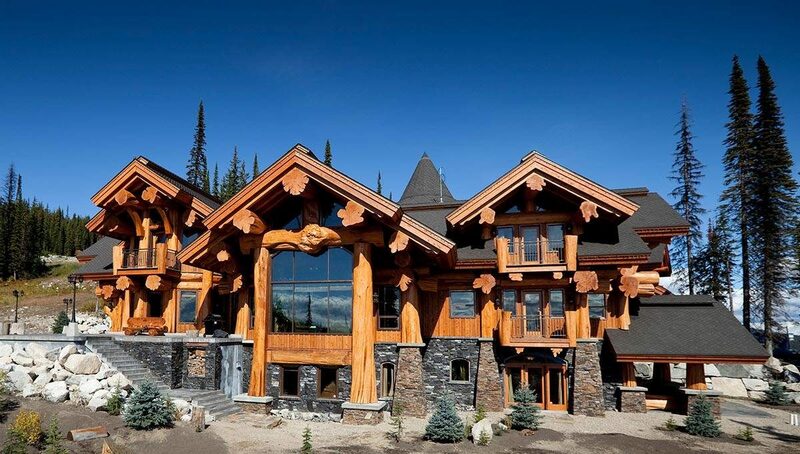 This ideally-situated cabin created from old-growth timber captures the essence of BC’s outdoor lifestyle on a palatial scale. An incredible log masterpiece with sleek finishings and a modern layout, you’ll find an exceptional warmth and space to roam in this Big White getaway. A 21st century take on Craftsman design! Every room in this luxury home offers high ceilings, rich wood and stone detailing, and beautiful windows that frame the gorgeous Okanagan vistas. A professionally-designed recording studio, purpose-built gym space, and clever indoor/outdoor features make it truly unique. Resting on nearly 10 acres, this exceptional property boasts unparalleled views over the lake, with thoughtful landscaping and hardscaping that create a welcoming outdoor oasis. Discover more than 2 acres of waterfront tranquility at this lovely Lake Country property. Each room in this secluded sanctuary is married with crisp, contemporary updates that capture the essence of its original design. The professional 6-car garage is the ideal home for your four-wheeled collection. A separate guest house offers privacy for all of your visitors (everyone wants a taste of the Okanagan!). This comfortable family home provides ample opportunity to make the lake life dream your everyday reality. Live in the lap of luxury in this custom-built private resort! Eagle Mountain Estate is perched on more than 16 acres, including a secluded shoreline. A veritable paradise, this property boasts endless recreational opportunities, indoors and out. Enjoy the incredible vanishing-edge pool, tennis court and private dock on the grounds, and screening room, wine cellar, and a lavish club room inside. This home is finished to an impeccable standard, with exquisite detailing and materials, and unsurpassed views over Okanagan Lake. More than 9 acres of countryside in prestigious South East Kelowna! This remarkable vineyard estate enjoys a peaceful, rural atmosphere while being only minutes from central Kelowna. An entertainer’s dream, this light-filled home is a showcase of traditional design and the finest of materials. Spend your days enjoying the numerous world-class wineries in the neighbourhood, or relax at home amid mature landscaping and phenomenal lake and city views. Only 21 homes make up this exclusive private waterfront community. No detail has been overlooked in this exquisitely-design home. Custom finishings underscore a beautiful blend of glass, wood and light. More than 3800 square feet of luxury living: 3 bedrooms, 3.5 bathrooms, a stunning wine cellar, and private elevator access all the way up to the enviable rooftop patio. The exceptional shared amenities, state-of-the-art dock, and private beach all make Paradise Estates feel like an escape from the everyday. Coldwell Banker Global LuxurySM has certified fewer than 85 specialists across Canada. The Jane Hoffman Group is proud to be a part of this exclusive group. Our reputation as a leader in Okanagan luxury real estate allows us to source and to represent the finest properties the region has to offer. 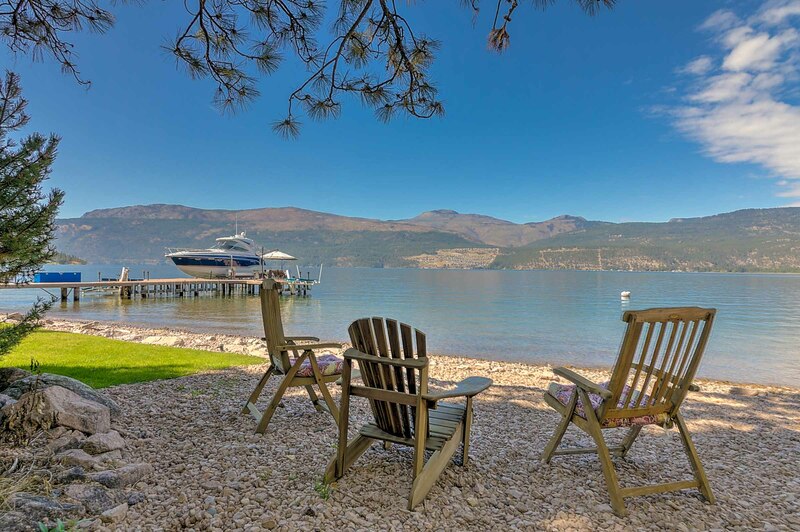 Let our team serve you in your search for the ideal and exceptional Okanagan home. We are sure to exceed your expectations.